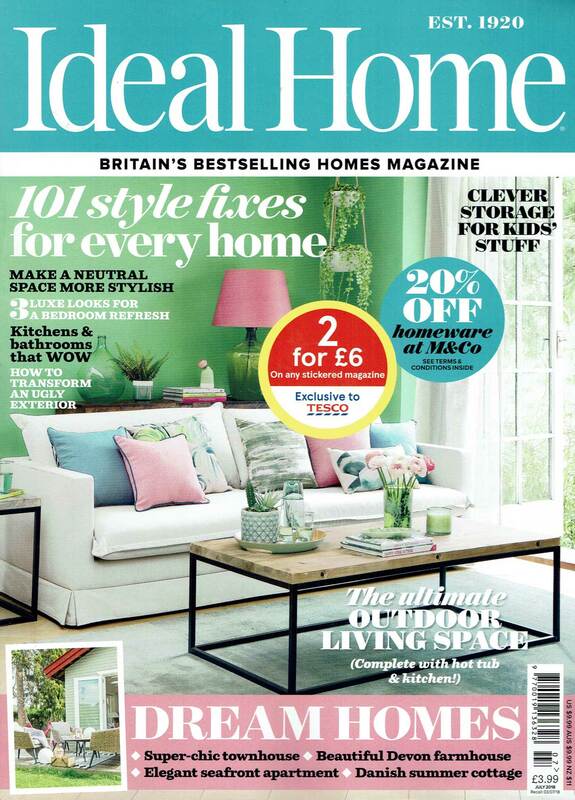 Any mention by Ideal Home Magazine makes us happy, but they’ve awarded us two awards!! Very exciting. Oscar moment imminent. 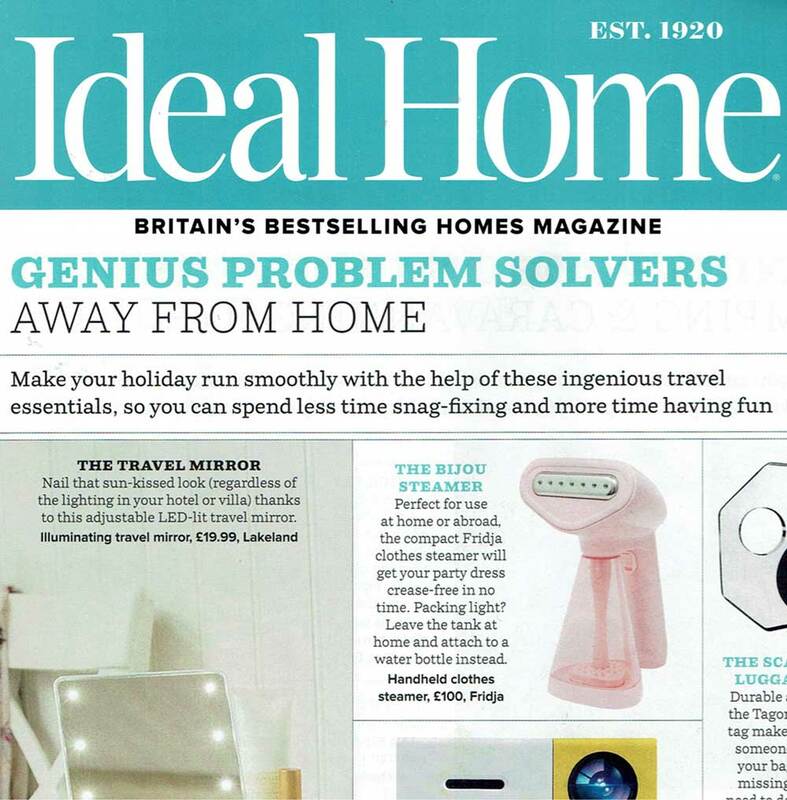 Ideal Home Magazine is a beautiful British institute! 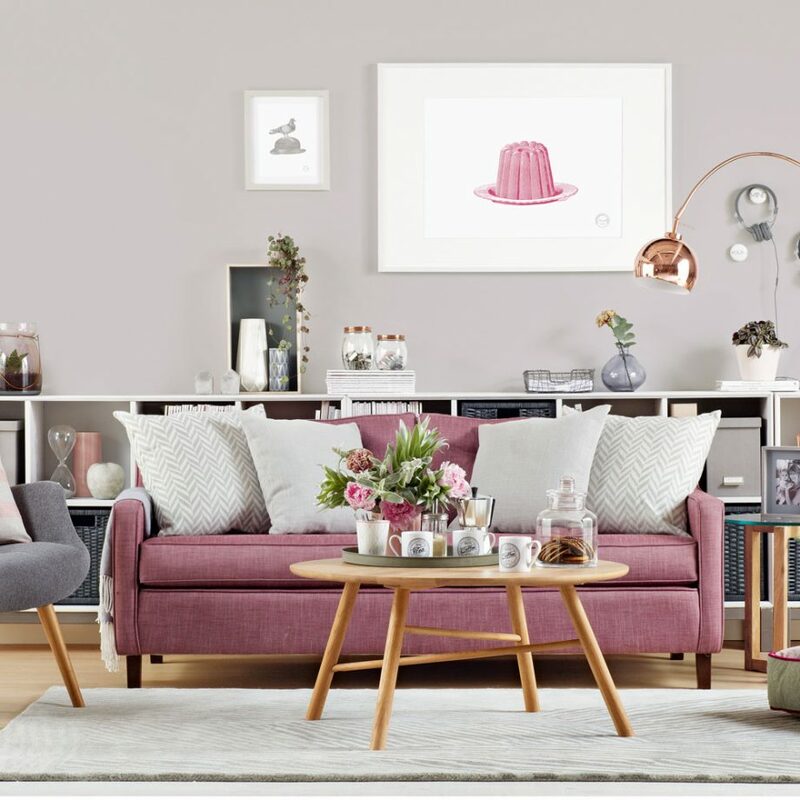 Published since 1920, the Ideal Home Magazine focuses on home interior decoration articles; reader homes; high-street shopping news and consumer advice. 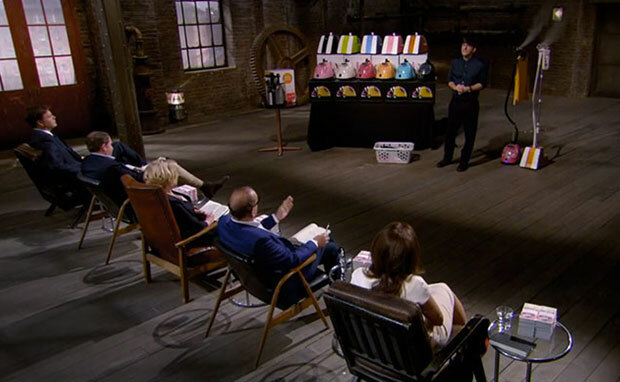 And they’ve reviewed our steamers! 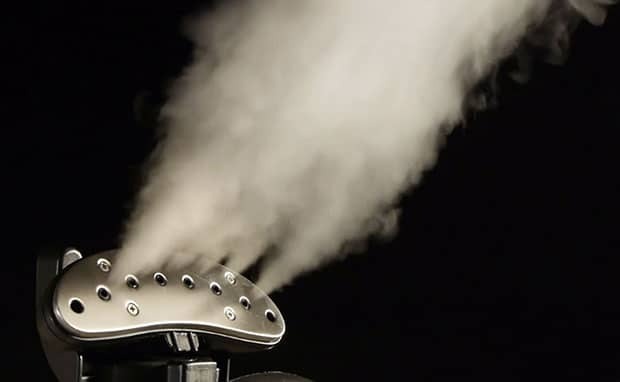 Step backstage at a catwalk show and you’ll see more clothing steamers than hair straighteners. 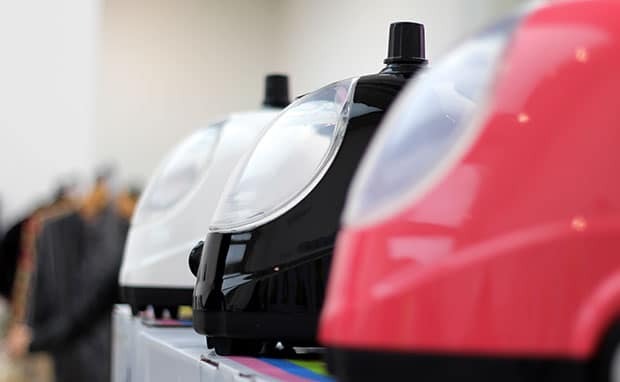 They’re invaluable for refreshing and de-creasing all manner of garments, quickly and easily. 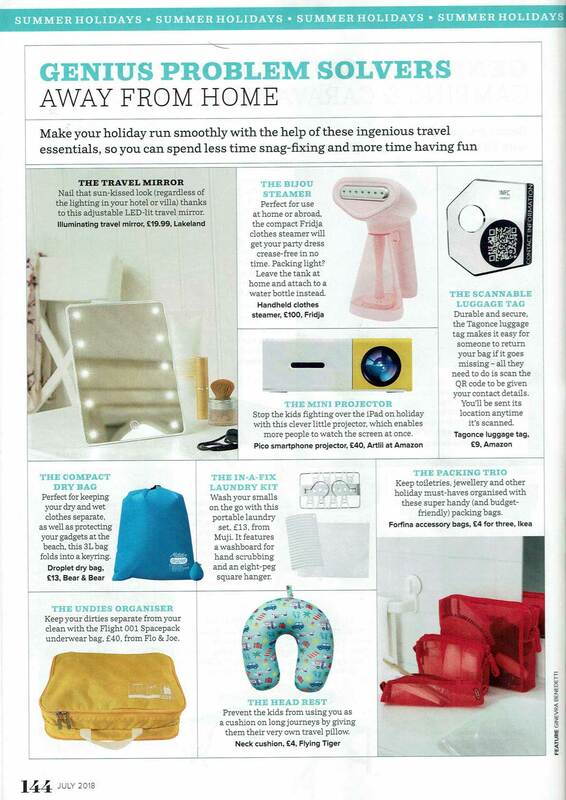 Ideal Home Magazine has awarded us the highest marks for our f10 handheld clothes steamer, a whopping 4.5 out of 5. That’s 90%! Definitely the best for handheld power, you could blitz a pile of garments with the Fridja where other handhelds are designed more for just refreshing one or two items. Head straight to our shop to get one with free next day delivery here! Ideal Home Magazine were also lovely enough to award us the best compact vertical steamer award! 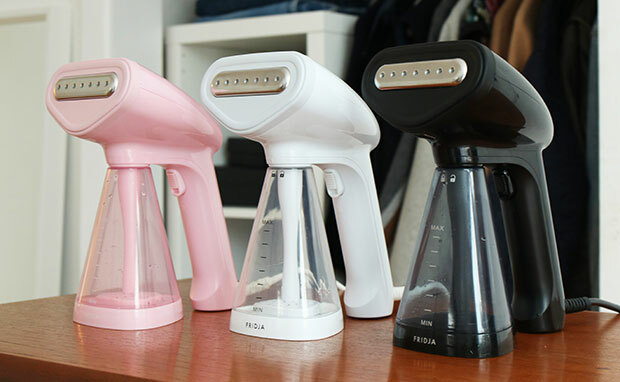 Cute and available in bright colours, this is the smallest vertical steamer on test. It takes up the space of a small cylinder vacuum cleaner, and looks like one too. It’s quick to assemble and the pole is telescopic, so it shrinks down small. 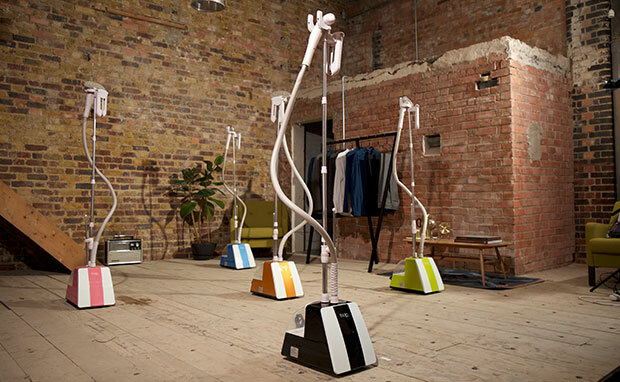 The fold-up clothes hanger attaches to the front of the pole and a hook attaches to the back, to hold the steam head when not in use. Thank you so much Ideal Home Magazine, and thank you to the uber cool Caramel Quin. Check out her website at gadgetgirl.co.uk plus follow her on Twitter here! You can read the full article at the link below!